How to Book Your artist TODAY! ​We are happy to announce that we will be offering Henna tattoos now. 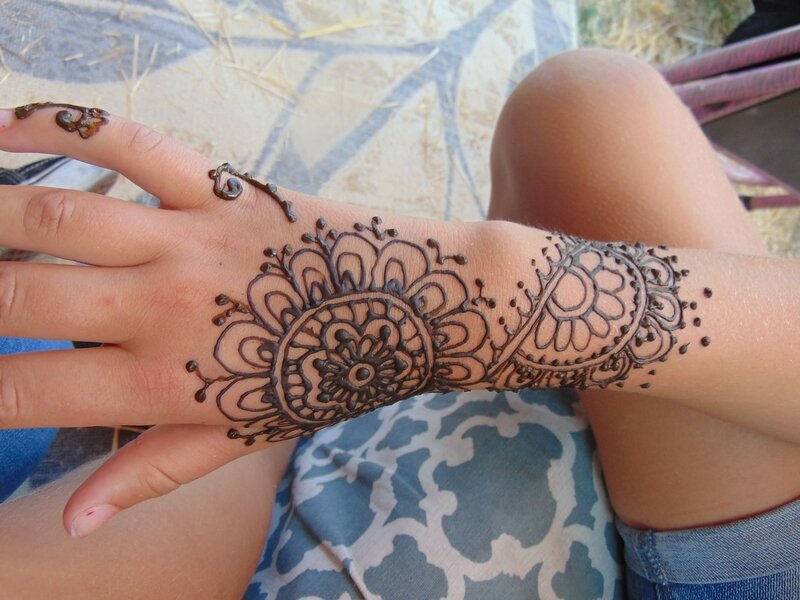 Using the best quality Henna, all natural, our henna artist will come out to your party and amaze your guests with each swirl that is added to the design of their choosing. Henna is not recommended for children under 10 as it takes longer to dry and if it smudges during that time it will mess up the stain. Henna tattoos can last 7-10 days sometimes even 2 weeks, with day number 3 being the darkest stain. It is a wonderful service for teens and adults. This package is a simple approach for a more modern twist on Henna. This package is great for a teenagers party, or grad night. Your artist will come out to your party or event with everything she needs to wow your guests with some basic trendy designs. These designs will vary in size from 2"x2" and will be a more western feel on the fun of Henna. 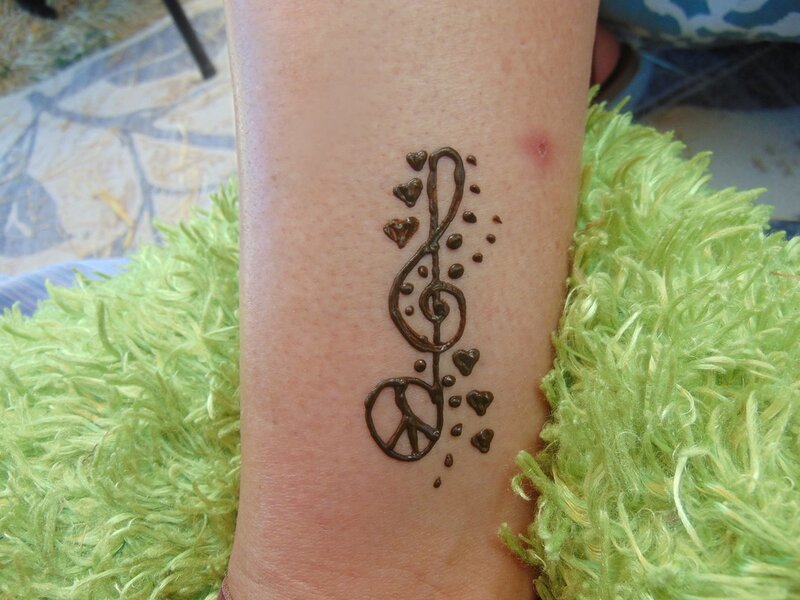 This allows your artist to help more people receive a Henna tattoo during your party. The Henna Beautiful Party Package is great for a small gathering of friends. 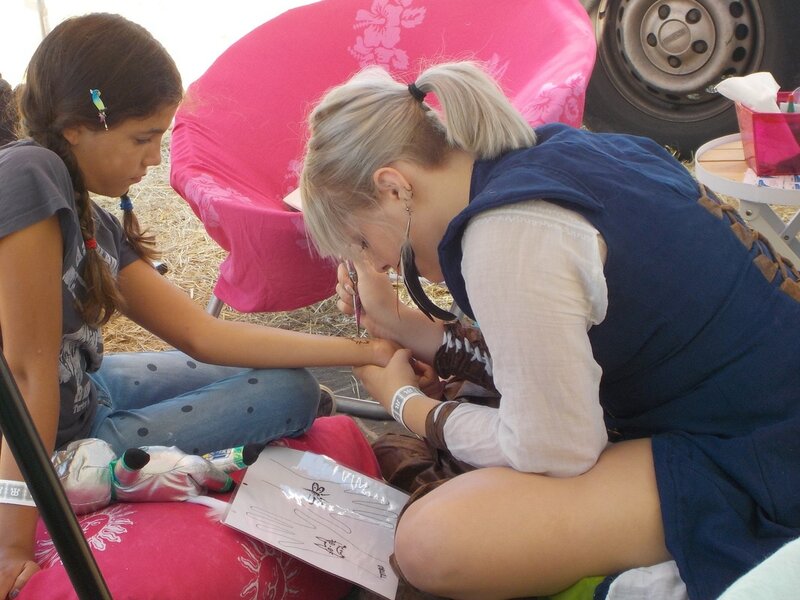 Your artist will arrive with everything needed to create the most beautiful Henna tattoos. This package includes more intricate designs that last up to 2 weeks. More traditional designs appear to be lace decorations on the hands and feet and everyone loves them so much. This package is great for your company picnic, or employee appreciation day. Your artist will come out and offer only a handful of the most popular simple designs. Leaving your guests remembering the fun time they had. If you book a party for Monday through Friday you will receive 10% off your party package! (Holiday exclusions apply) If you book a party for our "off season" months January and February, you will receive 10% off your party package. These specials can only be used for one party at a time. Like us on Facebook to get updates on special pricing, mention the ad and get the discount. We service surrounding areas of Santa Rosa, any location out of our 30 mile service area will be subjected to a $25 service fee for each additional 15 miles, up to 30 additional miles for $50. ​All party packages will need a 50% retainer at time of scheduling. The retainer is non-refundable if the party is cancelled, however can be used towards rescheduling a party, availability permitted. Any time added will need to be scheduled ahead of time and can NOT be asked for at time of the party.